We've been helping a few clients with different ideas for table decor and making sure everything is top top and looking beautiful. One way to bring some creativity onto your table is with your table numbers. We love some of these examples (and they're way simpler to recreate than you can imagine)! If the rustic, natural look is what you're after, what not try some of these examples? We love the idea of moss covered numbers - perfect for grand displays. 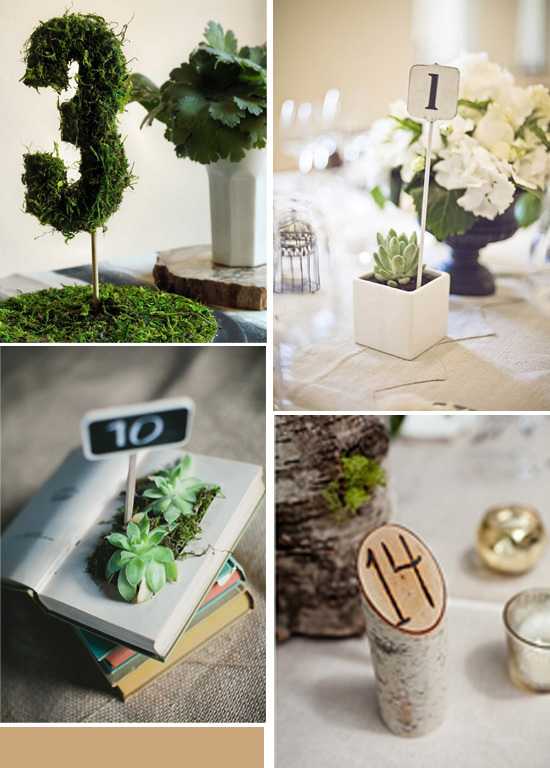 These little aloe planters look so sweet and the wooden table number looks natural and a perfect part of the decor. Old books piled up onto a table get an update with this table number. The chalkboard number is right on trend too. We love the originality of these engraved barks - gorgeous don't you think? 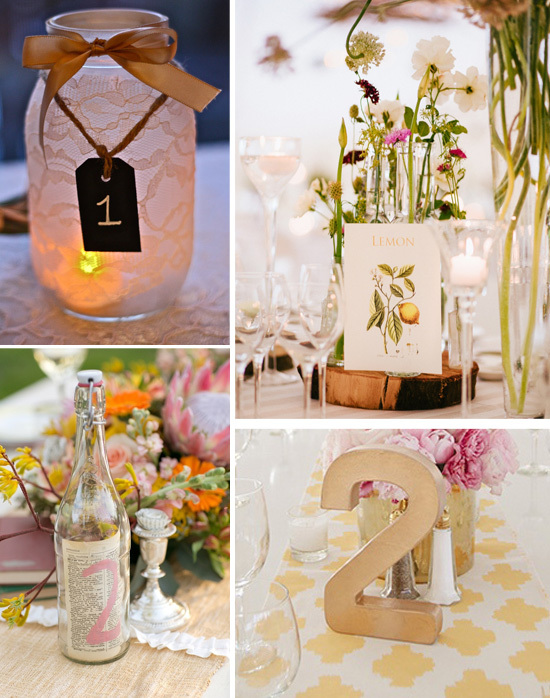 Keen to try something a little different for your table numbers? These examples are so easy to DIY and so effective too! The lace wrapped mason jar is a perfect piece for adding functionality to your decor - it doubles up as a table number and as a pretty light feature too! Why not theme your tables instead of giving them numbers? It opens up a world of possibility..and fun! Glass bottles are very on trend on the moment, so why not leave a message in a bottle for your guests? This is a super simple and budget friendly option, we think. Large chunky letters are starting to become really popular lately. We love this luxe-gold spray painted number, don't you? 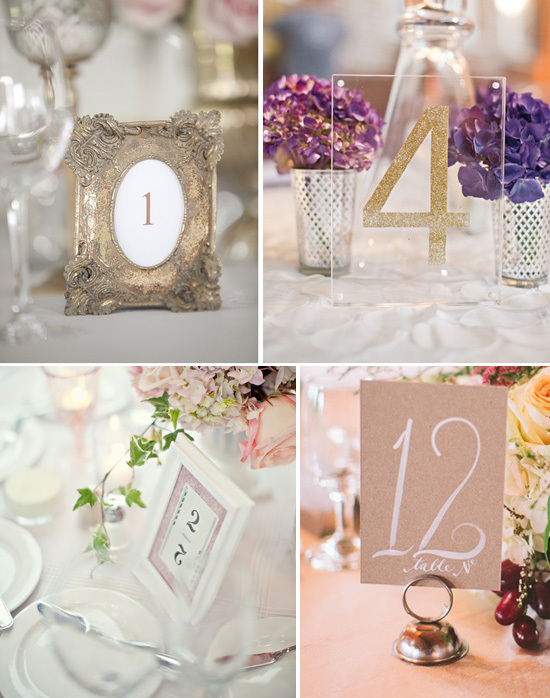 We've always been fans of framed table numbers, they are so easy to adapt to your theme of wedding. Having a glam vintage inspired wedding? Then an ornate, silver frame will look beautiful on your table. If you're after something more shabby chic, nothing is better than a white-washed frame. Add a spot of colour with your frame backing, and you have a winner. We love the 'open framed' look of glittery number four. It appears to be floating - perfect for a modern and glitz day. Keep it simple with handwritten table numbers in white on kraft - it's bang on trend and so pretty!